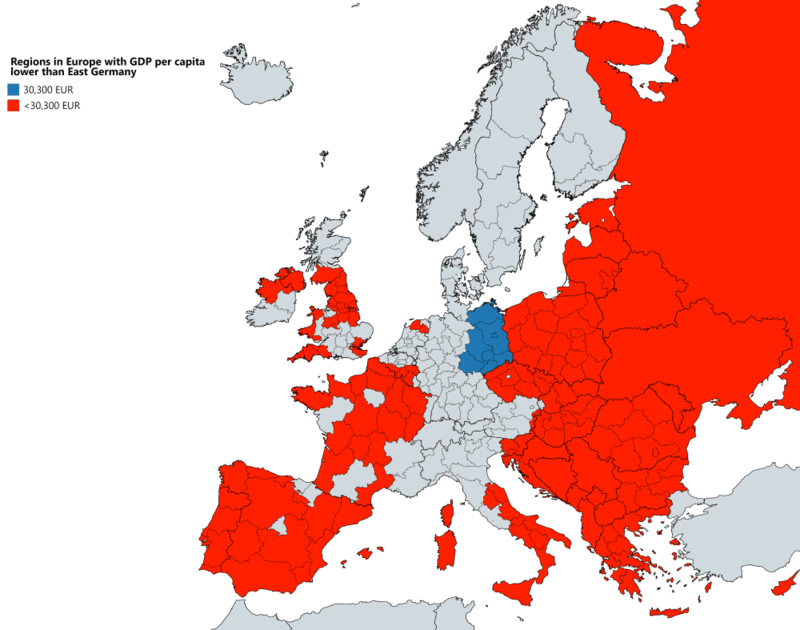 The map above shows which regions (in red) have a lower GDP Per Capita than the average GDP per capita of the five former East German states plus Berlin (shown in blue). Overall, the former East German states have an average GDP per capita of €30,300. As you can see this is not only higher than almost all Eastern Europe regions, but also many regions in Western Europe. The data is from 2017 comes from Eurostat. However, it should be noted that Berlin includes both the former Eastern and Western parts of the city. Therefore, this likely skews the data slightly higher.